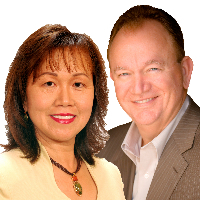 Amelia Wong and Wayne Mason are working together to provide Sellers, Buyers and Investors with complementary skills and expertise in all areas of real estate. Our mission is to provide highly professional real estate services to help our raving-fan clients achieve their financial goals through creative real estate solutions. As your Real Estate Specialists, we promise to be your trusted resource for answers about the process of selling or buying. To achieve top market value for our Sellers, we provide customized innovative marketing strategies along with strong negotiation skills that leads to a successful transaction that puts more money in your pocket. When working with Buyers and Investors, we provide expertise about neighborhood features, schools, resale values, and investment returns. We target your home search based on your individual needs and wants. Call Amelia at 408-516-6707 for a free and confidential consultation to come up with a game plan in achieving your financial goals. Visit our websites under Professional Information to get full details about our combined strengths and expertise that will benefit you.